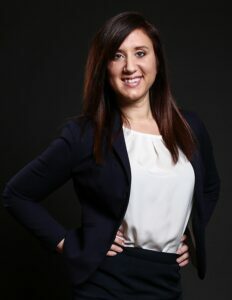 Jenna Eisenmenger, family law attorney at Heimerl & Lammers, has committed her professional skills and experience to pursuing the best for Minnesota’s families. She’s been a vocal and persuasive advocate for parents and her commitment to their well-being has earned her their respect and praise. Keep reading to learn more! Ben Heimerl, our firm’s founder, partnered with attorneys Mike and Katie Lammers, with the aim of providing excellence in legal services. Heimerl and Lammers has developed and grown ever since. We provide legal representation in the areas of family law, workers’ compensation, personal injury, employment discrimination, and estate planning. We pride ourselves in our ability to advocate for our client’s best interests. I, as well as several other attorneys at our firm, were recently recognized by Super Lawyer’s magazine. Super Lawyer and Rising Star designations are awarded to attorneys that have demonstrated a high level of achievement within their career and community. These attorneys’ individual accomplishments reaffirm our firm’s overall commitment values such as excellence, balance, and prosperity. We would feature the team approach we take toward problem solving to maximize results. This approach also allows us the ability to offer the range of legal services and practice areas that we do without compromising quality. We leverage the variety of expertise our attorneys have to offer to craft well-rounded solutions to complex problems. Gather and utilize client feedback for business development. While attending law school at the University of Saint Thomas, I participated in a mentor-externship program, in which I was paired up with a well-known attorney in the family law community. At that time, I had no idea what area of law I wanted to practice, nor did I know what my strengths were as a future attorney. I was feeling lost. After meeting with my mentor and watching how she carried herself, not only when people were watching but also when nobody was around, I finally realized what it meant to be a leader. I also discovered that I really enjoyed the area of family law, as I felt like I was truly helping people. It was because of my mentor that I found my purpose as a family law attorney, and I strive to be a leader with strong morals and character like her. If I could have a super power I would choose time travel. I have always been fascinated with history and artifacts, and I think it would be interesting to travel back in time to see some of the different eras. I read a news article about a family of an autistic boy that raised over $125,000 in college funds for a teenage supermarket employee, after the employee invited the curious autistic customer to help him restock shelves and gave the family “a moment [they] will never forget.” In a world full of negative news stories, I love hearing about random acts of kindness and “pay it forward” stories. We choose to WORK AWESOME at OffiCenters to continue to serve a diverse and widespread clientele effectively. The remote offices are conveniently located and well-maintained. The ability to meet current and prospective clients at locations most convenient to them serves as a competitive advantage for our firm by way of strengthening attorney-client communications. This empowers our ability to advocate for our clients’ best interests. We appreciate everyone who comes across our firm. If you would like to connect with us or learn more information, please complete a contact form on our site or call us directly at 612-294-2200. We offer free, confidential consultations over the phone, or in person.